Almond milk seemed to appear on supermarket shelves overnight, didn’t it? And not just one or two brands for us to choose from either, the market was literally flooded. I’m still trying to pinpoint the article someone wrote or the event that may have occurred to set the avalanche off. Don’t get me wrong, I couldn’t be happier about alternate milks like almond and coconut milks hitting the ‘mainstream’. However, as with all commercial endeavours, profit is one of the main drivers where most companies are concerned. You want almond milk we’ve got almond milk! In a rush to get the next fad product out some have arrived with a stack of unfavourable ingredients. Many of which lend themselves more to preserving shelf life than promoting health so reading labels is a must. I regularly make almond milk and other nut milks at home and I can assure you all you need are almonds, water, a pinch of salt and maybe a sweetener like dates, honey, maple syrup, rice malt syrup or stevia if you feel like it. That’s it. Three to four ingredients is all it takes. Of the now numerous almond milks (that I know of) there are only three I have come across that contain these very basic ingredients. 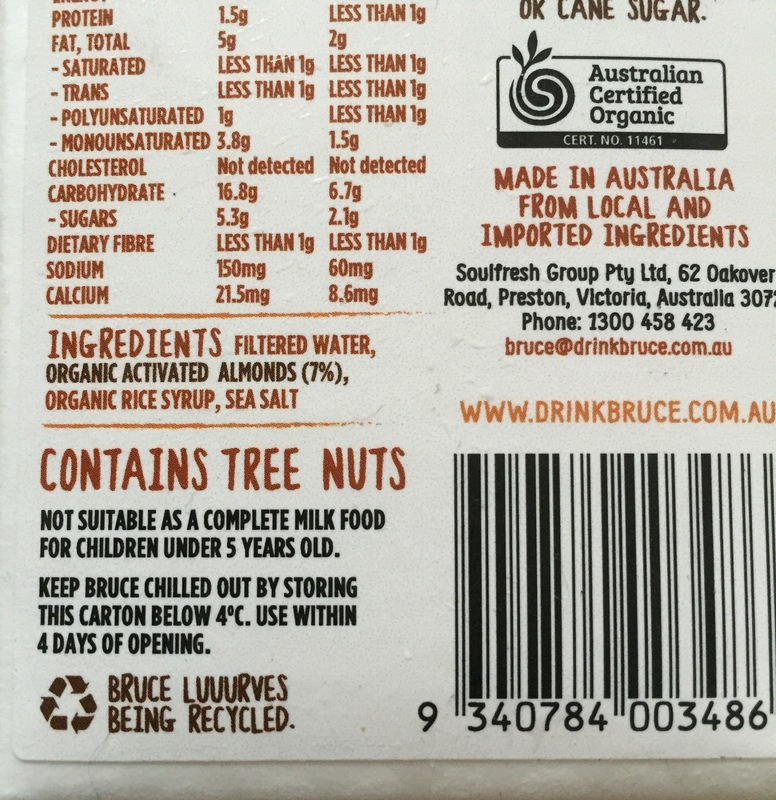 They are Inside Out Nutritious Goods, Pureharvest Organic and Nutty Bruce Plant Milks. That is a very big list of extra things when we’ve already established you only need a handful of ingredients, no? To make matters worse some of them have all of these ingredients, not just a few! So, consider your research done. Next time you’re purchasing almond milk all you need to do is grab one of the three brands above and be on your way. 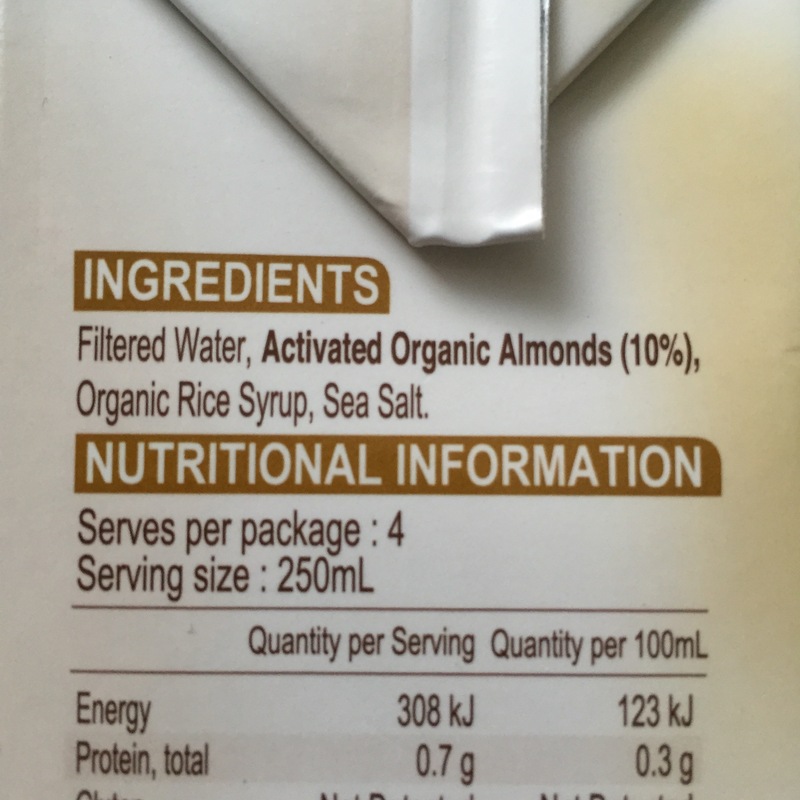 If these almond milks are not available where you live, just make sure you read the ingredients of those that are. So after all that, where can you find these almond milks*? You can buy them from most major supermarkets and/or health food stores but best to check websites for stockists. * A little note: Some of my three preferred companies sell a number of products and whilst I’m sure they’re all pure and delicious, I have not seen them all nor reviewed their ingredients so please note my support at this point is solely for the almond milks. I am so pleased to read that one of my favourite brands, Pure Harvest, gets the tick of approval from my trusted friend! Still yet to make almond milk myself. Sigh. Where does the time go? Pureharvest is a fabulous choice. I also love their CocoQuench and there are a couple of cafes in Sydney that stock that instead of almond milk… that makes me happy too! I’m a 45 year old male.I had an allergic reaction for the first time ever after drinking Inside Out brand.I’m generally not allergic to any food ,no nut allergy at all and have drank other brands of almond milk and whole milks in the past.My reaction was within a half hour of drinking it.I was not even sure what caused the allergy at all.So a week later after antihistamine tablets I tried it again to test and bingo another allergy.What could be an engredient in Inside Out that may cause this reaction? Hi John, that must have been super scary! 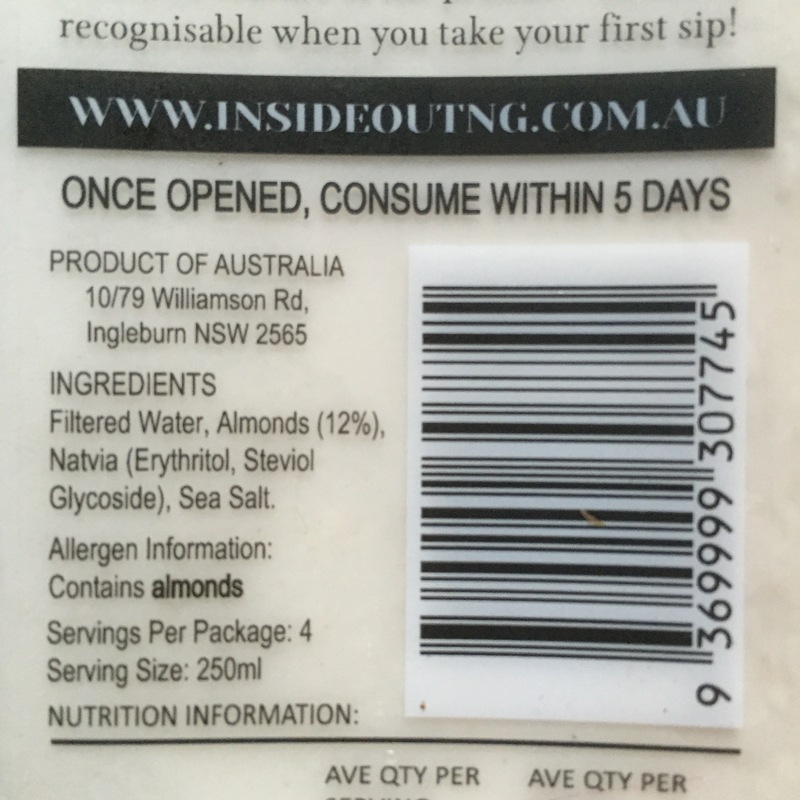 At the time of writing this article, Inside Out were one of the ‘cleanest’ almond milk brands on the market. There was only almonds, water, sea salt and a sweetener. I’m wondering if perhaps there may have been cross contamination with something else at their plant? Have you had the opportunity to give them a call and ask for their feedback? I’d be really interested to hear what they had to say. Hi Gabby,I have written to them and awaiting an answer.My guess it will be a dead end complaint that leads to no where.A food company will never admit liability unless there has been many complaints raised. They certainly should do! Thank you for letting me know though, John. I will follow this up too. I would definitely like to know if there are any other ingredients that are possible irritants. My GP said the slightest change to ingredient or type of ingredient e.g. type/variety of salt used in production can cause an allergy. GP said its never 100% full proof no matter what they put on their labels as being “natural” or additive free that its 100% without additive of some sort natural or not. Very interesting to hear. I shall look forward to the company reply!